Walmart won't be opening two promised stores in Washington, D.C. after all. Leases were signed and construction sites were prepped. But now Walmart (WMT) has decided not to build two stores in Washington, D.C. The stores were scheduled to go up in Capitol Gateway Marketplace and Skyland Town Center in Ward 7 of D.C. According to the 2010 U.S. census, the residents of Ward 7 are more than 95% African American and the median household income is roughly $35,000. Councilwoman Yvette Alexander, who represents this district, said she was very angry. "I take this personally as I advocated to bring them to Ward 7," Alexander said. "This has racial and social-economic discrimination implications." Walmart's decision to abandon the projects is problematic because, according to a spokesperson for Alexander, Walmart was only permitted to open stores in D.C. under a 2012 agreement that it would also open stores in Ward 7's lower-income community. Three new Walmart stores have opened in D.C. in higher-income areas with greater gentrification, but the company backed out of the deal to build the other two stores last Friday. A Walmart spokesperson said the stores in D.C. were built in the order that the construction sites were ready. The spokesperson also said the decision to abandon the two stores in Ward 7 was part of Walmart's plan to close 269 stores around the world. In the U.S., 154 stores are closing. "As part of this review, we've concluded opening two additional stores in the district is not viable. 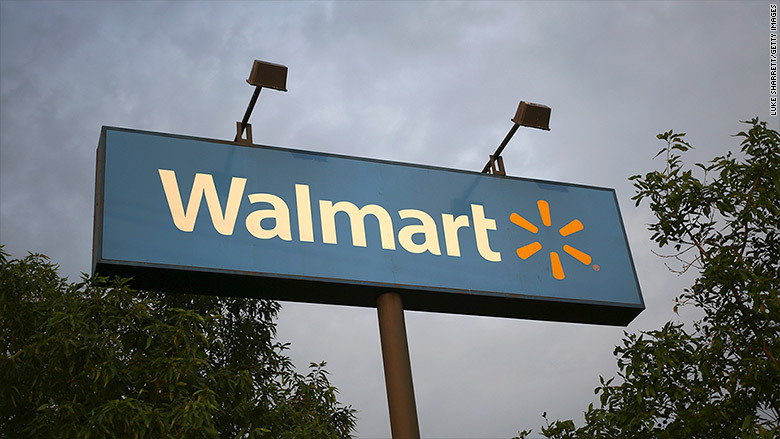 Our agreement with the district to build stores was contingent upon business conditions," Walmart said in a statement. "We share in the disappointment about this reality, but our existing three stores are not profitable and we must focus on improving them so we can take care of our customers and associates." Alexander said she wasn't responsible for drawing up the contract, but she was privy to the deal and assumes the stipulation about the Ward 7 stores was included. Walmart also said last Friday that it still plans to open 300 new stores worldwide later this year and in 2017. Walmart's decision was a bitter blow for Alexander. "Walmart's decision heavily impacts Ward 7 as their stores were slated to serve as the anchor retail for both Capitol Gateway Marketplace and Skyland Town Center," she said. "Walmart's arrival at Skyland was going to bring in 300 construction and 300 permanent jobs with nearly $65 million in sales and real-property taxes." Existing stores were closed to make way for new developments that would center around the Walmart stores, but now the community is left with two vacant lots and fewer jobs.